• Genealogical society and local history society periodicals from throughout the U.S. 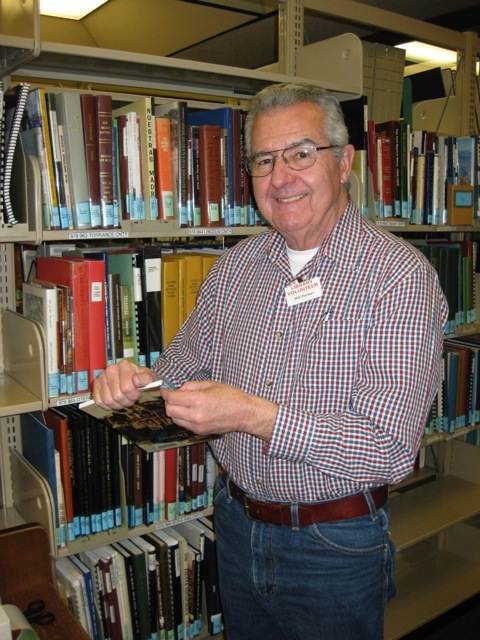 In addition to Library purchases, many resources are added to the collection through generous donations from the New Mexico Genealogical Society, Albuquerque Genealogical Society, Hispanic Genealogical Research Center, local chapters of the Daughters of the American Revolution, other lineage societies, and their members. A special thanks goes out to teacher Su Hudson and her Newspaper Class at the Public Academy for Performing Arts! 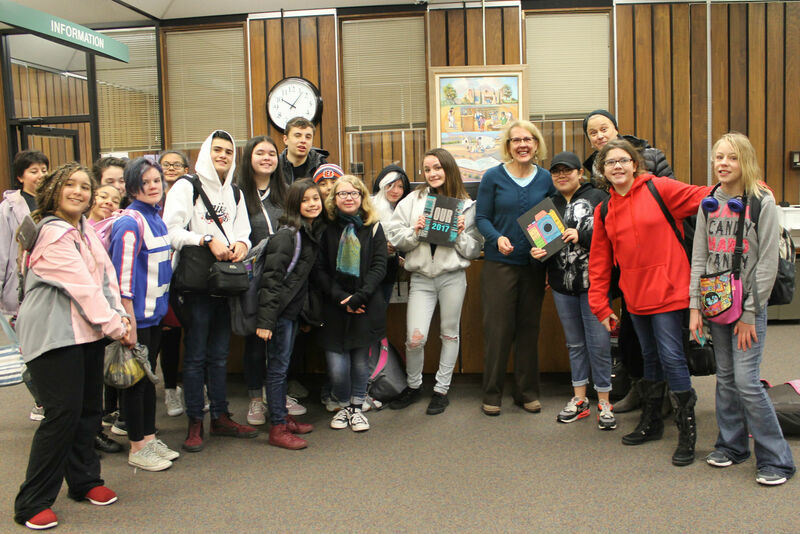 They recently visited spent the day exploring the resources available for genealogy and newspaper research at the Genealogy Center, and left us with copies of their yearbooks. We're always excited to receive donations of yearbooks for Albuquerque schools. Thank you! You'll find historic maps and atlases at the Genealogy Center for the United States and Europe. Also available is a program called AniMap, which will let you identify county boundary changes for the United States over time. There are also many other Maps & Geographic Information eResources available from the Library. Harness the powerful, time saving features of Evernote's free software and mobile apps to manage your genealogy research. This comprehensive user guide explains how to organize all kinds of genealogy information so it's searchable, accessible on any device and backed up in the cloud. Evernote helps you analyze research clues, collaborate with extended family and share your family history. The Santa Barbara cemetery is now a part of the much larger Mount Calvary Cemetery located at 1900 Edith Blvd NE, Albuquerque, New Mexico. This books includes burials 1869-1924, with tombstone inscriptions 1877-2013. The commander of the Department of New Mexico Colonel Edward Canby and Governor Henry Connelly recruited what became the First and Second New Mexico Volunteer Infantry. In this book leading Civil War historian Jerry Thompson tells their story for the first time, along with the history of a third regiment of Mounted Infantry and several companies in a fourth regiment. The emphasis is on how the volunteer companies were raised; who led them; how they were organized, armed, and equipped; what they endured off the battlefield; how they adapted to military life; and their interactions with New Mexico citizens and various hostile Indian groups, including raiding by deserters and outlaws. The appendix lists the names of all volunteers and militia men.